The API (Application Program Interface) has become the cornerstone of many businesses. Offering the ability to connect devices together to exploit data and other services, many small businesses are now basing their products on APIs that deliver features at relatively low cost. Apps are of course where APIs have found the most use. Many of the most popular apps use APIs as a core component of their functionality. Mapping apps, taxi services, document storage and connecting online services together all use APIs. Visa, Apigee, says in its whitepaper: "APIs have become more important as businesses shift their attention from what they need to provide to consumers to how to deliver more value to consumers faster and at scale. In addition to this accelerated time to value, businesses are striving for improved agility and the ability to leverage new channels and extend their brand." It's the small business community where APIs can be the most beneficial. Every industry moves through change and it's important for every business to remain relevant to its customers whether these are in the consumer space, or within a B2B environment. APIs can deliver a cost-effective way to remain on the cutting-edge of your business sector. Of course this is most relevant to businesses in the digital economy using APIs to create new products or extend existing services. For these companies the API economy is an ecosystem that enables them to innovate. 3scale explained in its eBook: "Such organisations can also develop software applications to access APIs to create new functionality and value both for themselves and the wider world. The resulting economy enables many new classes of applications with the potential to transform the way business is done. Think of it as maximising your growth potential in what is likely to become the most important component of the economy." The use of APIs may have begun to enhance web services, but today it's mobile where APIs are making themselves felt. The level of connectedness that consumers now expect is driving the use of APIs. And this isn't just for the likes of Google or Facebook. APIs offer even the smallest of enterprises the chance to enhance and expand the depth of their services to a waiting public. 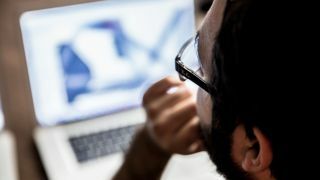 "For a small business owner, APIs offer the chance to react, scale and pivot at any stage of your business growth," Phil Leggetter, head of developer Relations at Nexmo told techradar pro. He continued: "Small business owners can benefit from APIs through real-time information exchanges and software integrations. APIs can also streamline workflow by saving time, automating processes and scaling data operations. "It could be the case that APIs are considered by businesses as too technically niche and complex to integrate at least without the assistance of hiring specialist programmers. But the smartest of companies will understand that APIs can also be used as a strategic business tool." Clearly using APIs in your business can massively accelerate the development process for new products or services. However, care needs to be taken to ensure that the API strategy your business is developing has sound foundations and includes high levels of security provisions, as many businesses often don't pay enough attention to latter aspect of their design.